Hi everybody, I’m Steve McDonald. 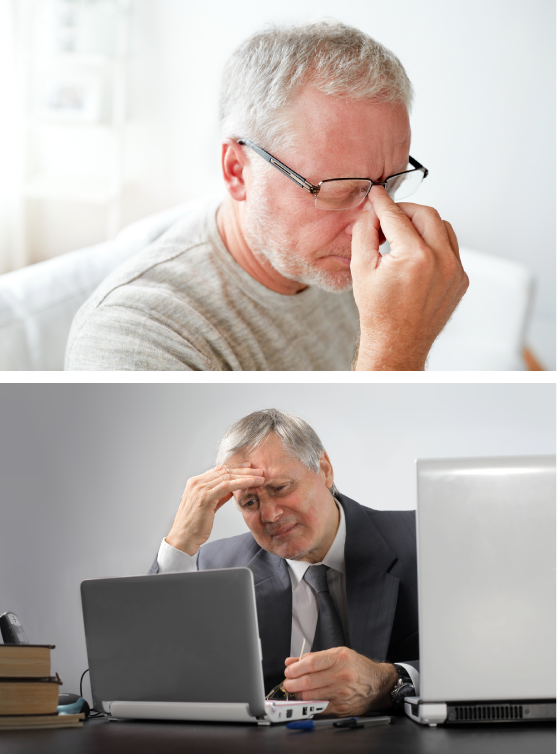 I absolutely cannot stand watching people in their 50s and 60s risk losing their hard-earned money. And with stocks as overvalued as they are right now, a lot of people are going to be crushed in the next sell-off. Yes, stocks are holding on... for now. But do you know the dirty little secret the stock bulls aren’t telling you? Just 10 companies account for HALF of the S&P’s returns this year! The other 490 companies are going nowhere. Holding stocks in this market is like holding a grenade with the pin pulled. That’s why I NEVER recommend them. Instead, I focus on a source of money you never hear your friends or Wall Street talk about. You can make as much as 447%. 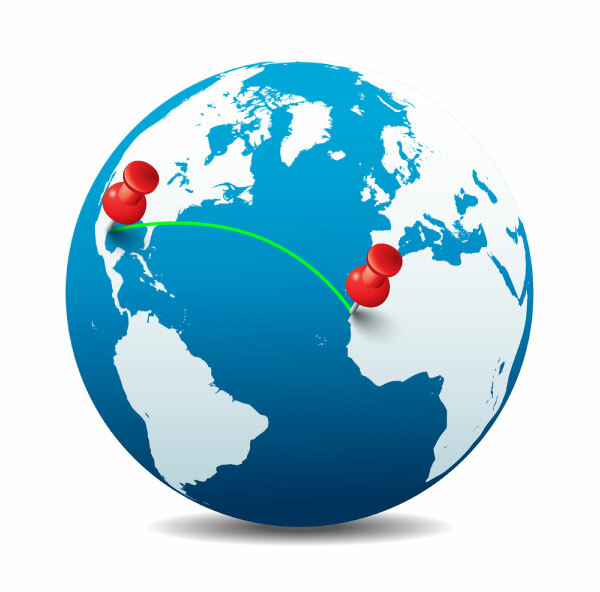 Returns are predetermined by written legal contract. The LAW states you are owed this money, regardless of what happens to the markets. This certainty... this exact science to making money... is found in the bond market. Now, most of the time when you hear “bonds,” you think boring Treasurys paying a measly 2% over the course of 10 years. You’ll never ratchet up your savings that way. Super bonds that can deliver huge payments directly to your account. And more than 447% in less than a year! And $10,000 into more than $1 million. And unlike the stock market, where you watch and wait and stress yourself out... you essentially DO NOTHING to collect this money. You’ll know your minimum return, contracted by law. And you’ll know you can make even more than that. With a legal contract proving it’s owed to you. But if you need to click out because the “B word” scares you, I say good riddance. You’re probably the same type of person who thought the internet was a fad. And you probably think we’ll never have another stock market crash. Imagine for a moment what a legitimate, legally backed 400% bond would do for you. A $10,000 emergency fund... now worth $50,000. The average baby boomer savings of $56,000... suddenly exploding to $280,000. You could make so much money, your kids’ grandkids would talk about you like you were John D. Rockefeller! I’ll reveal the EXACT steps you should take right now... and you’ll be able to collect these legally obligated returns. But you have to be willing to do one thing. Because making this safe money requires a bit of a maverick mentality. And wait for the cash to post to your account. You might never go back to buying stocks. With stocks in today’s overvalued markets, you ALWAYS face the uncertainty that they may go up or down. Owing you massive returns... by law! 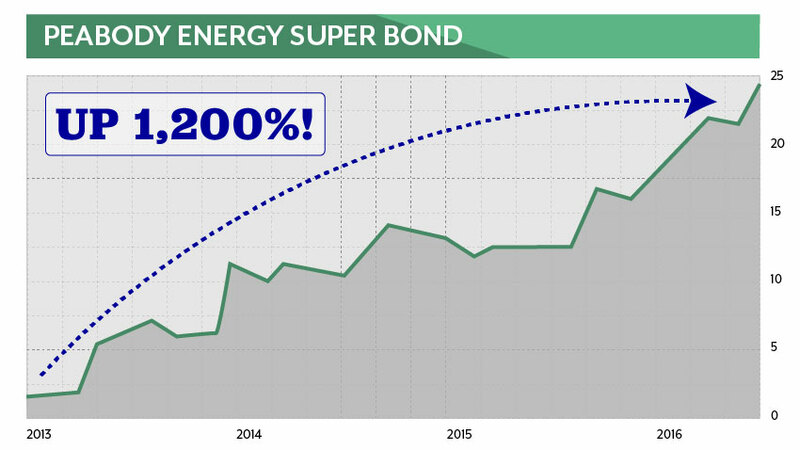 That’s why I call them “super bonds” – they give you benefits like no other investment out there! 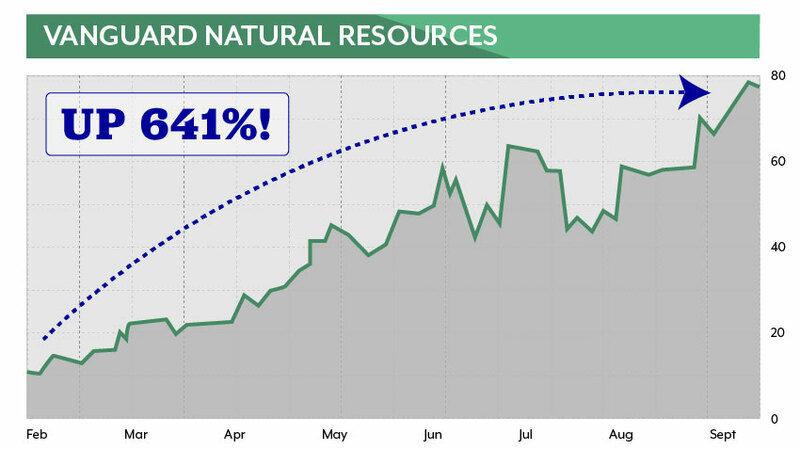 Look at this one from Denbury Resources. It’s been in the business since ’51, pulling gas and oil out of the ground in Texas. Now, most people I know wouldn’t have touched oil stocks with a 10-foot pole these past few years – and I don’t blame them. Saudi Arabia pumping oil and waging war on the markets has been scary. But I don’t care about stocks. And Denbury’s super bond was a grand slam! And you would’ve had a contract saying you were OWED this return. And I say safely because these investments offer you something Denbury’s stock NEVER COULD! Or the company will be legally accountable! 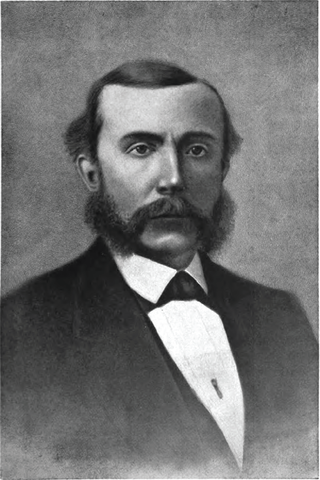 Cliffs Resources, a company with $2 billion in revenue, founded in 1846. About as far from a “shaky startup” as you can get! Its super bond was a 776% whopper! Again, these returns are backed by a written legal contract that you hold the rights to! And here’s a 10-BAGGER clocking in at an exceptional 1,276%. These returns are walk-off grand slams! Yet I never hear anyone talking about owning super bonds like these in their portfolio... except for famed billionaires. 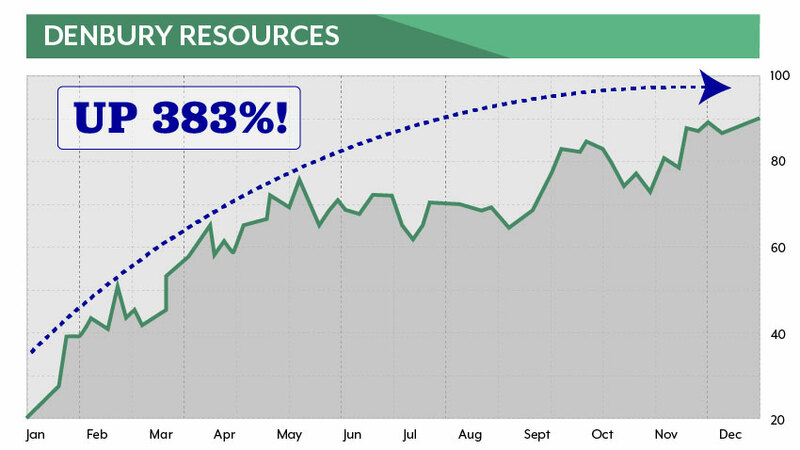 I get so frustrated when the average investor focuses only on stocks. Stocks don’t give you the protection of the law. Stocks don’t give you any idea how much money they’ll pay you. But bonds... that’s why I love them. You know EXACTLY how much your return will be before you even put down a cent. You know what you’re going to make. And you don’t have to worry “Will it go up or down?” the way you do with stocks. 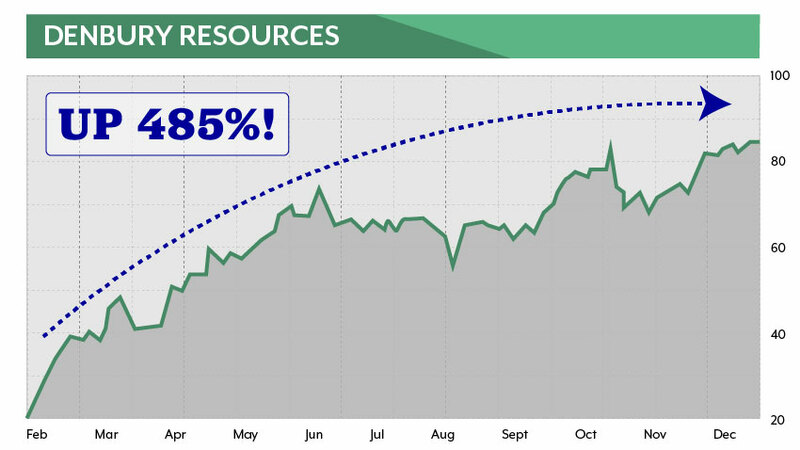 With the bonds I recommend, you’ll feel that same rush of excitement you do with big stock wins. And with the 400% super bonds I’d like to show you today... you’re going to feel an even bigger rush. I promise you. That’s what I’m most excited to give you. But I have SO many more that can keep you rolling in the safe money. There are sectors in the market right now where the bonds are SEVERLY underpriced. I’m talking pennies on the dollar bargains. Bargains where you can put down a little money... and potentially walk away with an OBSCENE amount of money. 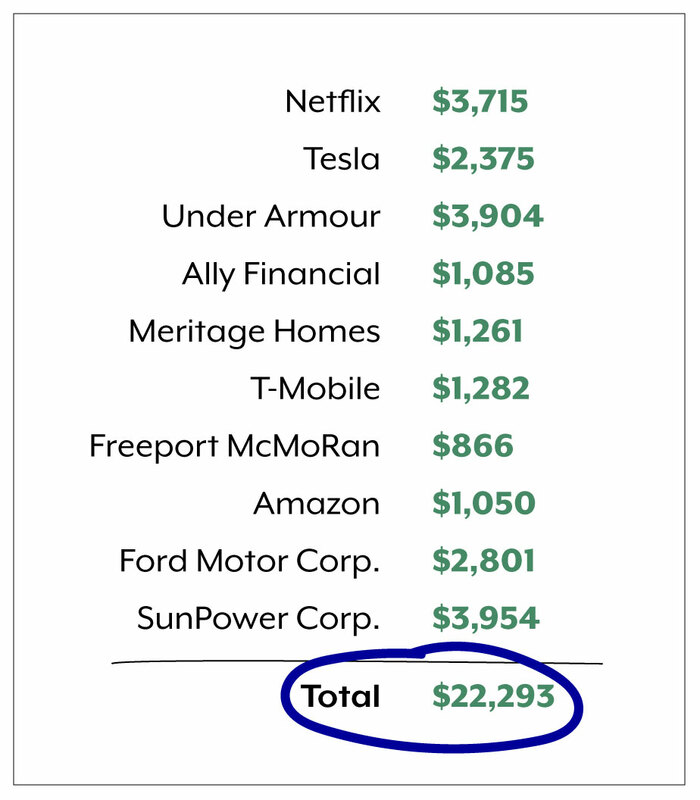 264% on EV Energy Partners. A multimillion-dollar firm based out of Texas. You put in $5,000... and you know ahead of time what the company is offering you in terms of returns. In this case, a $5,000 investment would’ve handed you $13,200 in profits! With peace of mind knowing you have a legal contract backing your investment! Again, you know what you’re set to get before you put down a single penny! That’s more than $14,000 in profits from just $5,000 down. Or how about this 302% home run? This is a super bond from a company operating a massive fleet that can go anywhere! $5,000 into this bond... and you would’ve been rewarded with 15 GRAND in profits. 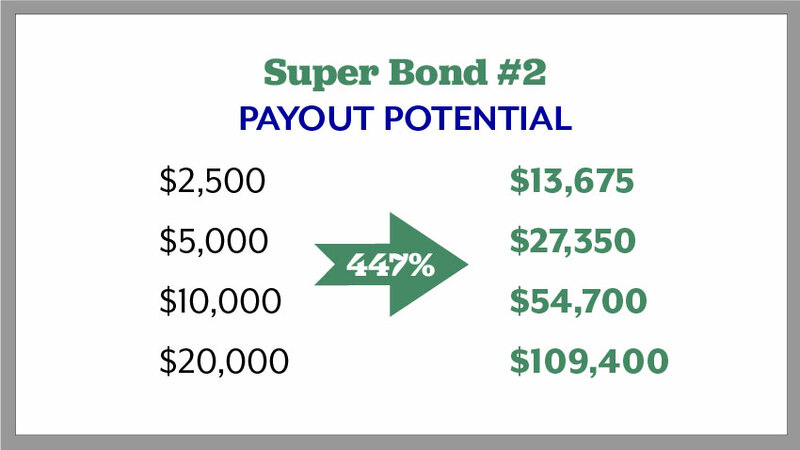 That’s nearly $42,200 in profits from just three of these super bonds I’ve just shown you. You just won’t find that kind of money – with a legal contract protecting you – anywhere else! 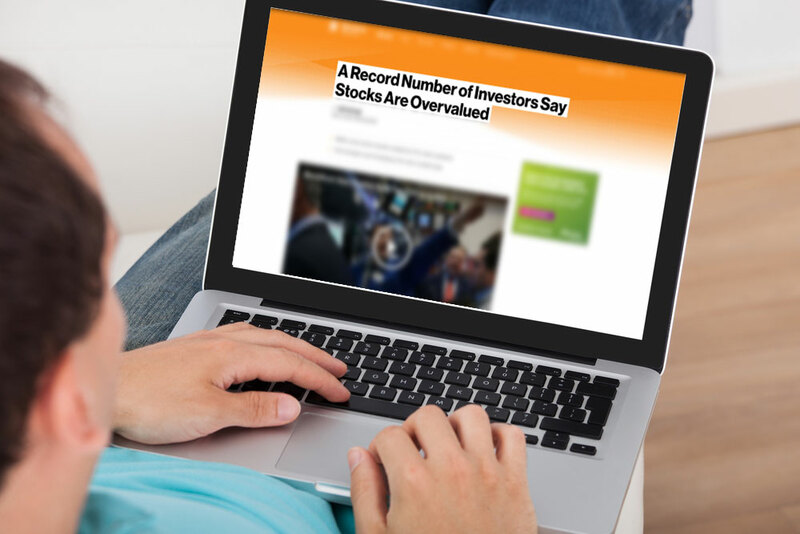 “A record number of investors say stocks are overvalued,” Bloomberg reported. And they’re right to feel this way. If you’re stock-heavy right now, you’re sitting in a tinder box while the crooks on Wall Street play with matches. You and I both know what goes up must come down. And eventually this market is going to have to come down. While others lose sleep at night over stocks, I will take HUGE triple-digit super bonds like these any day of the week. You just need to throw out everything you thought you knew about bonds. 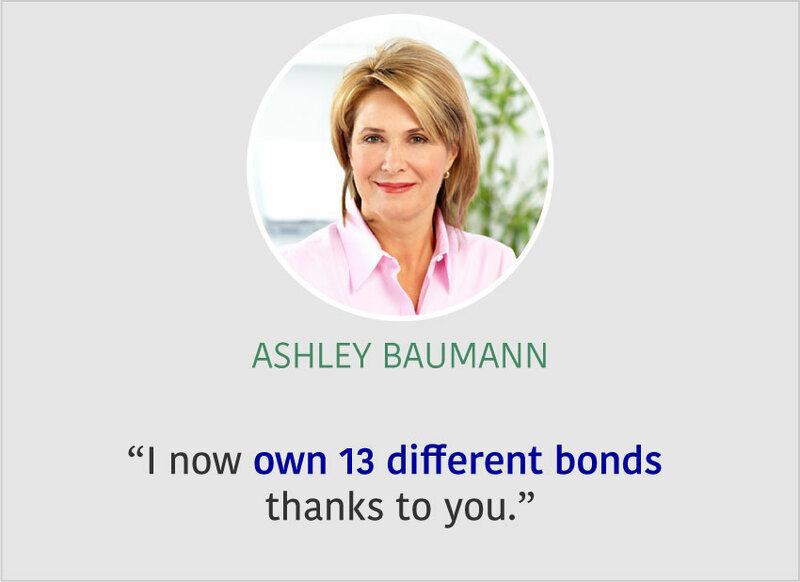 You can get HUGE returns with the super bonds I have in store for you. A peace of mind you will never find in the stock market. That’s why some of the smartest people in the world have chosen to grow their money this way rather than roll the dice on stocks! I Bet You Never Knew These Men Made Their BILLIONS With Bonds, Did You? 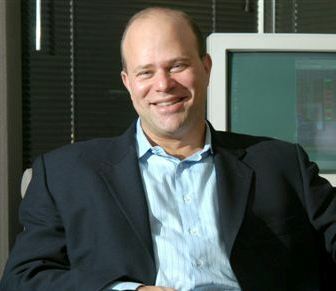 David Tepper has grown his famed Appaloosa hedge fund by more than 34,987%. And you know how Mr. Tepper did it in the beginning? That’s right: bonds. The SAME kinds of bonds I’m talking about today. Sam Zell is another great story. Bloomberg confirmed that over a 22-year period... his fund averaged a whopping 19%, outperforming all of his peers! You may not know his name... but this man could have turned every $1,000 of your money... into $45,923! People like to laugh at bonds all the time... but it’s only because they don’t understand the profit potential. They’ve been flat-out wrong. 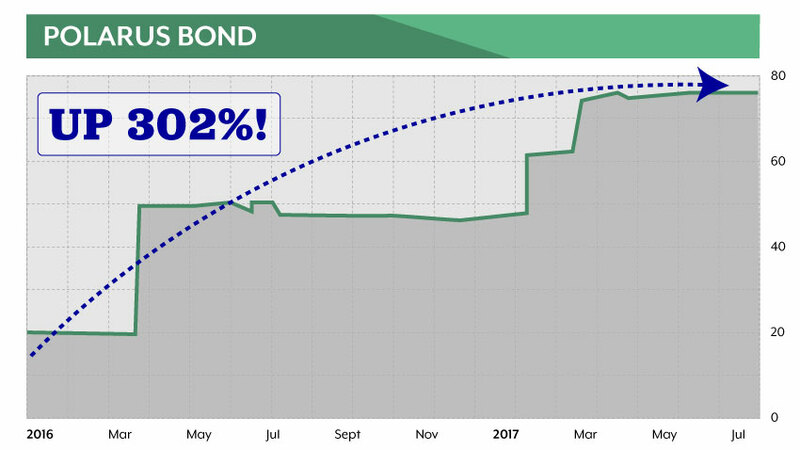 In fact, we’re about to enter a whole new era where bonds could go even HIGHER! Owning a stock might give you a small part of a company, but it doesn’t guarantee you’ll get paid! Owning a company’s bond... well, that’s another story! Now, I hate to toot my own horn here. Looking back, my research has shown instances where a super bond paid up to 2,500%... even 11,000%! Now, you could have bet on Chesapeake’s stock. That’s what billionaire Carl Icahn did. But guess what? If you had followed Uncle Carl – like everyone on TV told you to – you would have lost A LOT of money. Look at the stock! From $18... to $29... down to barely $5. Thanks for the sage advice, Carl! 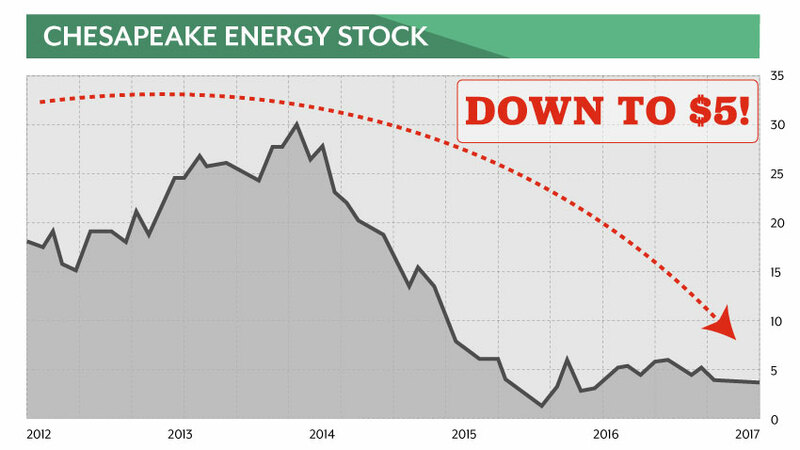 Now, is it because Chesapeake Energy is a BAD company? And more than $13 BILLION in assets. It’s the stock that stinks, not the company. It’s so much more gratifying. 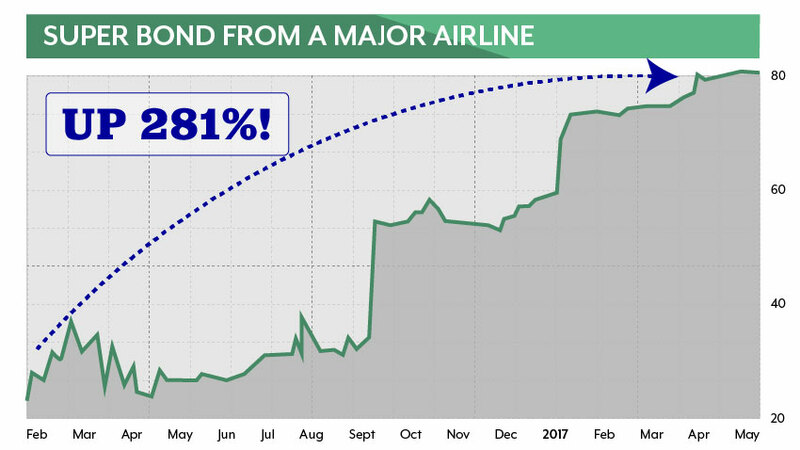 In just over a year’s time... you could have enjoyed a WHOPPING 765% return. That’s something the stock has NEVER done. Imagine if you had gotten in on this... and you plunked down $10,000 into Chesapeake. You’d get a written legal contract backing that $10,000 capital. It’s owed to you in writing! A guarantee that Chesapeake would pay you a certain return on your capital. This exact science... that makes bonds such stress-free investments. 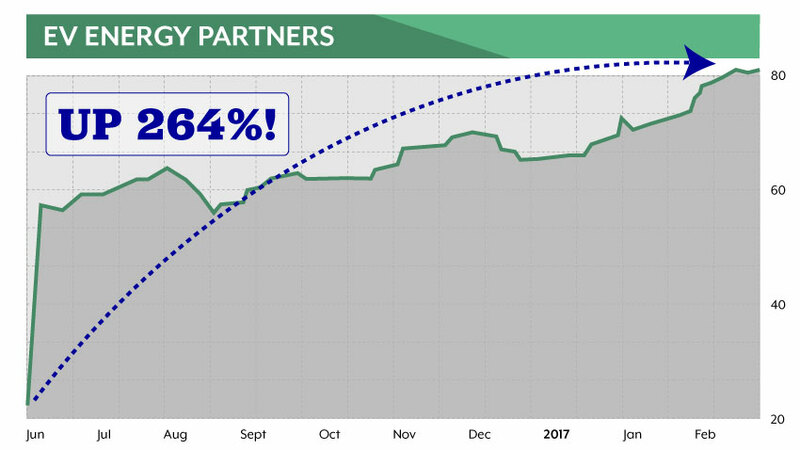 765% in a little over a year’s time... that’s enough to turn your $10,000 – which again, is owed to you by law – into $86,500! And unlike with the stock market, you don’t have to watch, wait and worry. You literally sit back and do nothing! I don’t know about you, but I’ll take $86,000 for doing nothing any day of the week! Especially in this market where nothing is guaranteed! 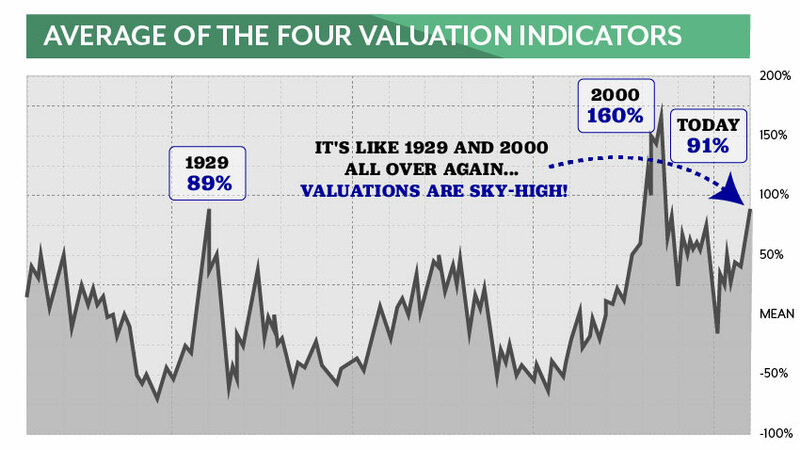 We’ve surpassed the valuations leading up to the famous 1929 crash. You need to start checking your parachute... right now. And I want to make sure you have a backup plan. In a way, this overheated market reminds me a lot of my Navy days. Before I flew planes... 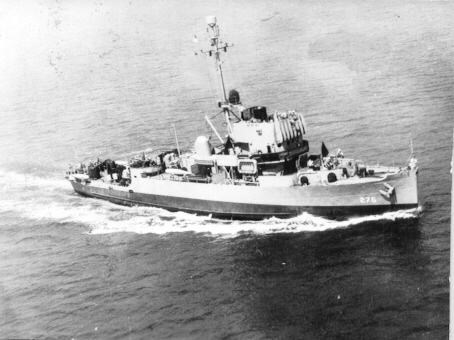 I was stationed on a minesweeper – the oldest, ricketiest ships in the Navy. These things were literally tinderboxes. Old wooden boats from the ‘50s. They estimated if a fire broke out... the oil-soaked hull of the ship would torch itself in less than five minutes. One night, we were about 200 miles offshore... when the fire alarm went off. We all did our jobs... except for one guy – the guy whose job it was to run into the room with the fire and contain it. He flat-out refused. And the ship was filling with smoke. I can’t tell you what I said to this poor excuse for a sailor – they nearly kicked me out of the Navy for conduct unbecoming an officer! But I can tell you, one single guy put all our lives in jeopardy. Fortunately, the rest of our crew did their jobs. We had multiple fail-safes and we saved the ship. It didn’t hinge on one person! The same goes for your portfolio. Your retirement CANNOT depend on just stocks. Because if this market goes up in flames... it will not take long for you to see the effects. Stocks go down hard and they go down fast. You already know that. But investors feel HIGH on this market. They don’t want it to stop. They don’t want to think about sobering up. But eventually, the obvious is going to happen. Than a stock where you’re guaranteed nothing! 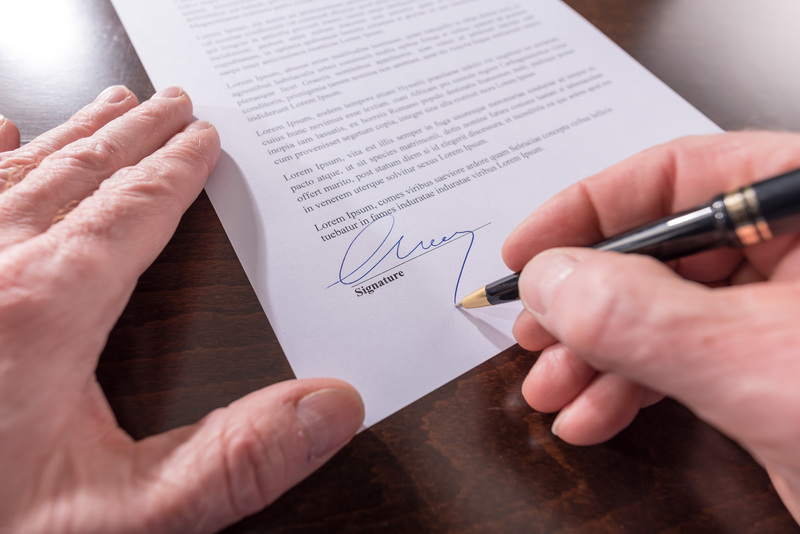 You’re legally protected by a written contract. You know the exact date you’ll get your money. And you get peace of mind you can’t find anywhere else. Ask yourself if you know these exact details of any of your stocks. It’s just like billionaire Bill Gross said: You’re buying high and crossing your fingers. You won’t have to cross your fingers. You’ll know – before putting down a cent – you’re owed returns as high as 447%. Will Stocks Keep Going Up? Who Knows! Will Bonds Keep Paying Out? You Bet They Will! The Law Requires It! For starters, look at this. 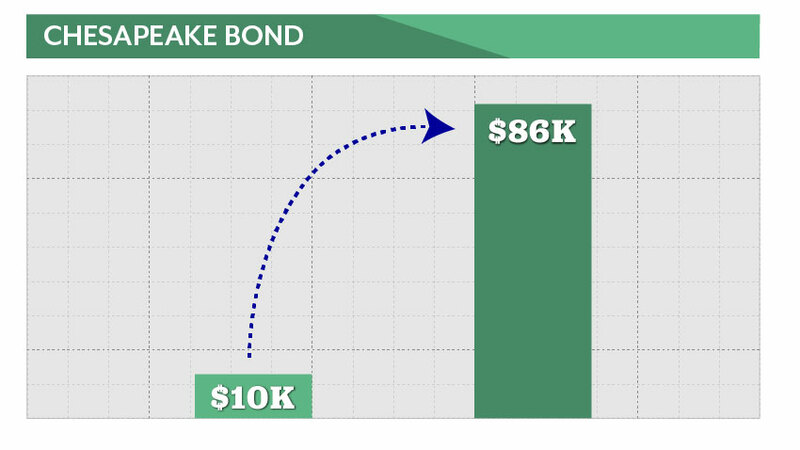 Bonds make you money even when the stock would have you LOSE money. Peabody Energy. It’s a big company. As in, $5 billion in revenue big. But in 2016, this stock took a beating like no other. In fact, the stock lost 42% of its value in a single trading day. You go to sleep at night... thinking your $10,000 is safe. And then you wake up and realize you’ve lost more than 4 grand... before the market’s even opened! You can’t even protect yourself by selling – because the market isn’t open. The bond, on the other hand? 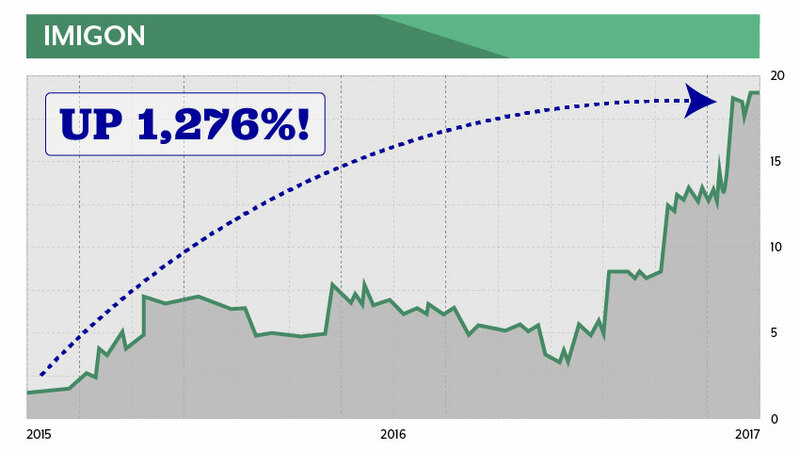 It was an absolute windfall – offering a 1,200% return. And this was happening during that same period of crisis for this company. Turn $10,000 into $120,000 owning the bond! And let’s be honest here, 120 grand is nothing to sneeze at! 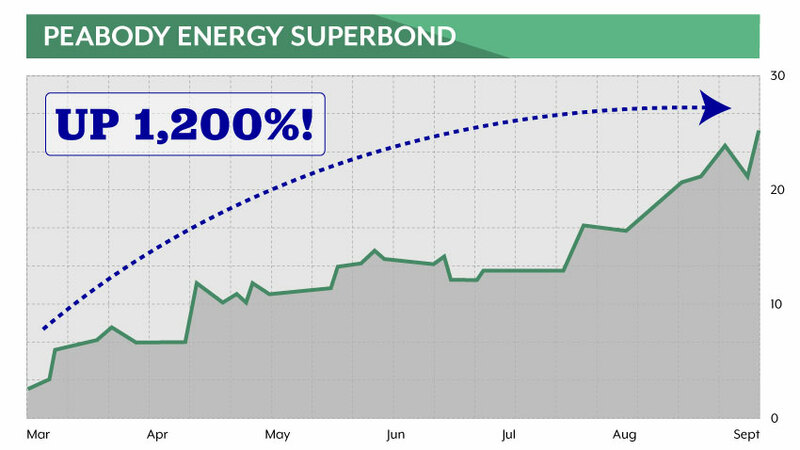 That’s what can happen when you ditch the uncertainty of stocks... and focus on the types of super bonds I recommend. 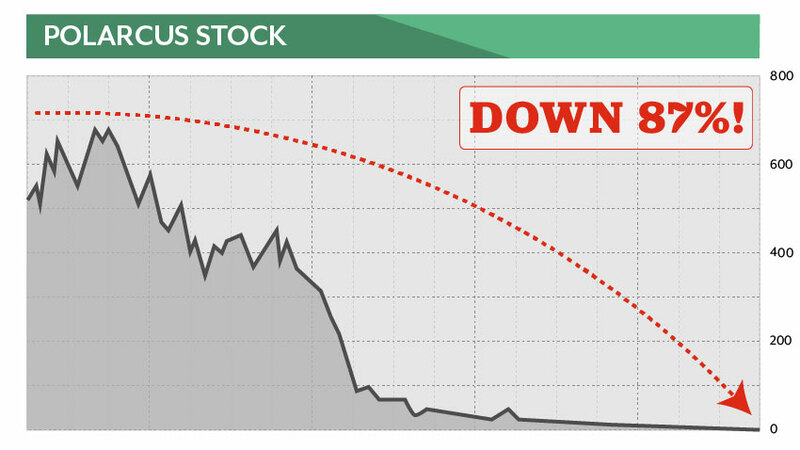 It can help you make a boatload of money – even on stocks that are collapsing. 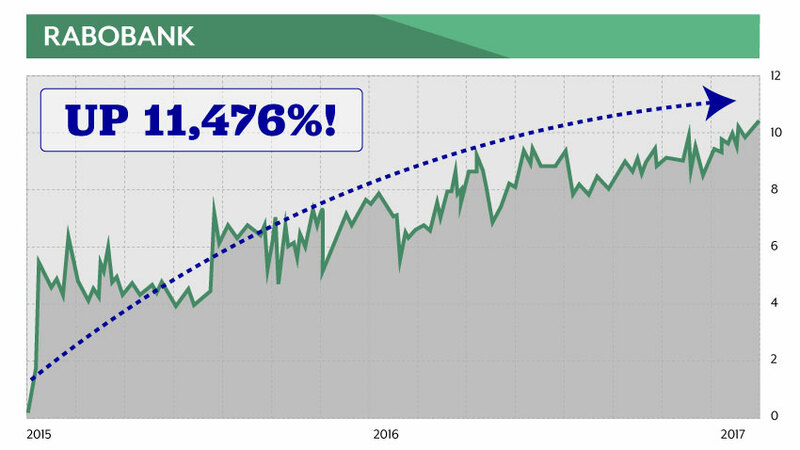 Remember: It Does NOT Matter What Happens to the Stock Market – You Still Get Paid! 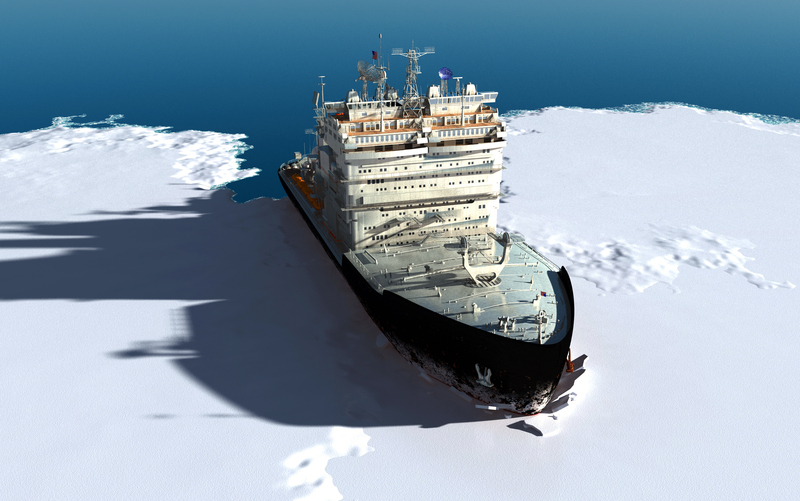 Take Polarcus Ltd. For the last five years, it’s been a straight shot down! You see, we don’t care what happens to the stock. Taking your $10,000 investment and handing you more than 30 grand in profits! 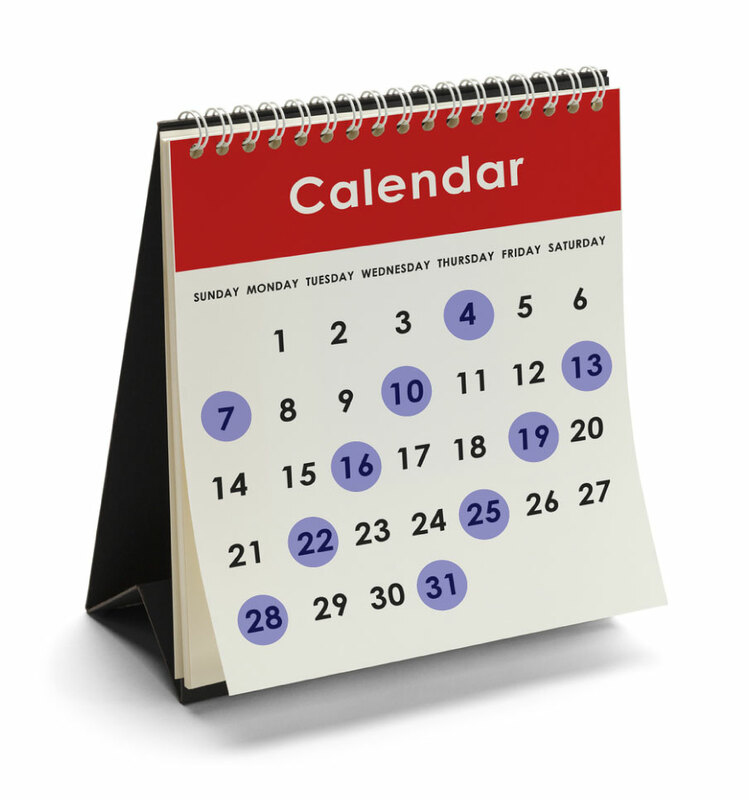 You know the exact date you’re getting paid in cash. And you get peace of mind... and the ability to rest easy... while stockholders are losing their shirts. But I LOVE getting paid for doing nothing. That’s the beauty of bonds! I’m sure you’re sick and tired of wondering what’s around the corner for a stock market at all-time highs. I’m trying to offer you a plan to get ahead of it... where you can make HUGE money and have a contract ensuring it! You’ll love that feeling of knowing your money is owed to you by law. And you’re really going to LOVE the fact that my readers can enjoy a payout on these bonds – on average – every four days. I want to emphasize that... simply because I don’t know anybody collecting cash that regularly on stocks. Every four days, you can average a cash payout! 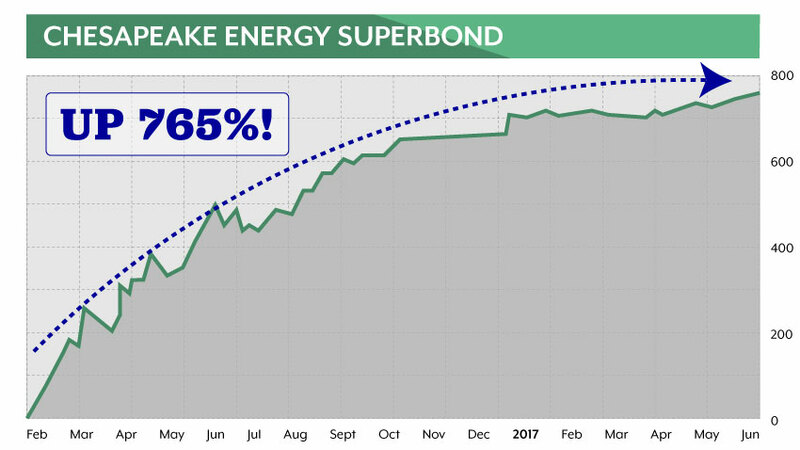 While we watch our super bonds climb higher and higher... I’ll show you how you can consistently take home chunks of easy money. Here are 10 easy bonds I’ve tracked before that could have handed you $22,000 in cash. But the REALLY big bonds? 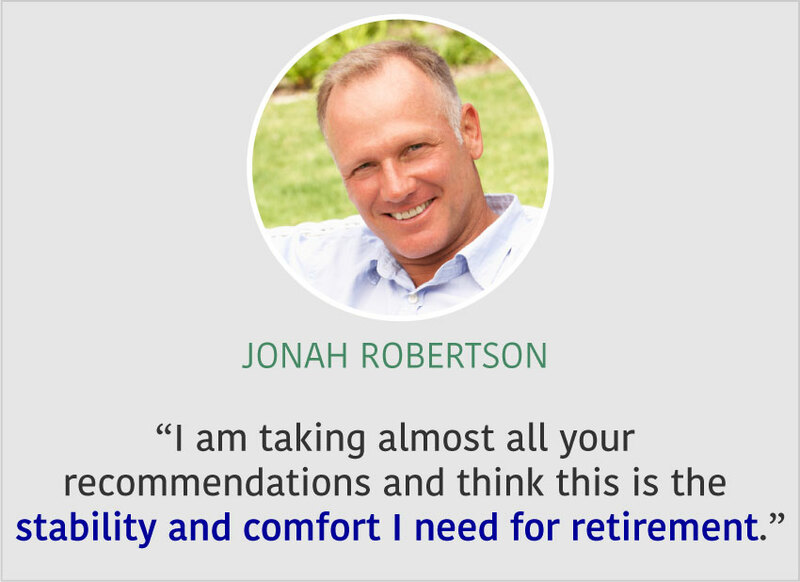 These recommendations I have for you can single-handedly change the course of your financial future. Just so you can understand the REAL power of a super bond. This might be the most exceptional example I’ve ever seen in my career. I seriously doubt you’ve seen anything like this before today. This is a bond from one of the BIGGEST banks in the world. 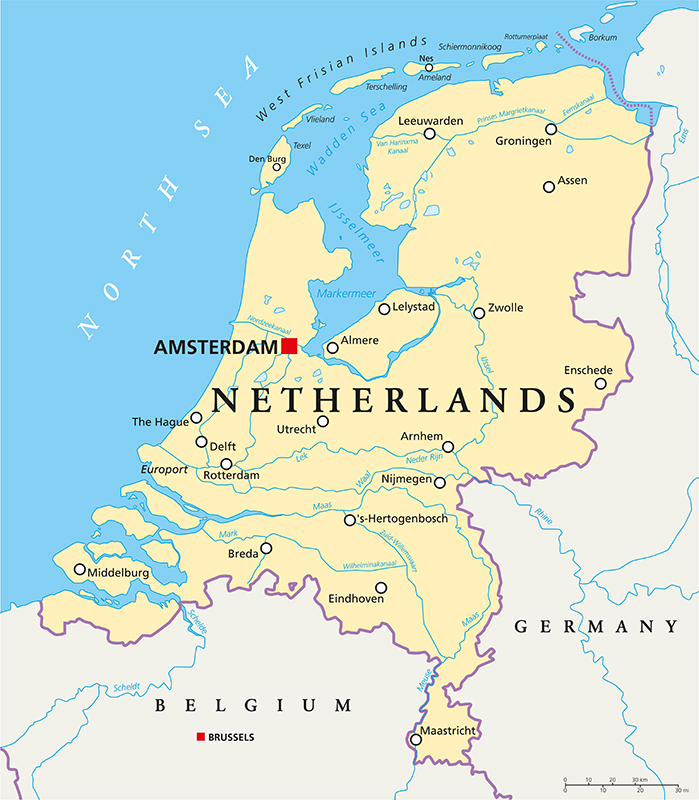 Founded in 1972 in the Netherlands, this company is now one of the 30 largest financial institutions in the world. Its bond was nothing short of a grand slam. Just look at this... and try not to fantasize about the money you’d have made. The return was a whopping 11,476%. Your $1,000 investment? Just handed you more than $114,000 in profits. Your $5,000? Congratulations, that’s $570,000 in profits. You’re sitting on $1.1 MILLION. 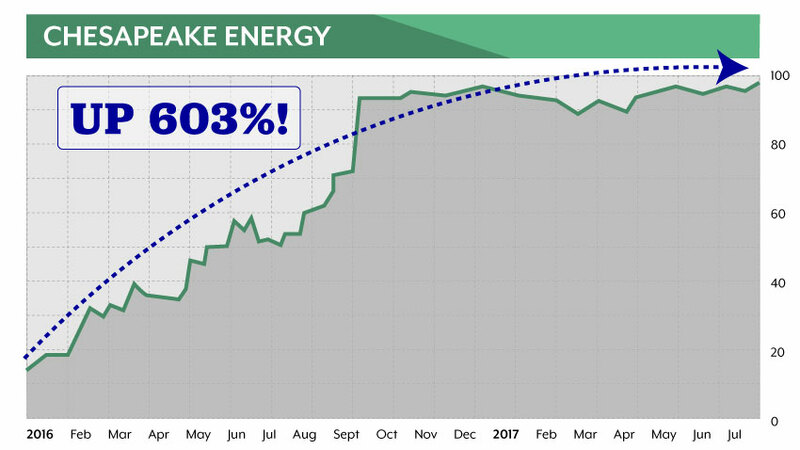 Show me a stock that returns 11,000% in less than two years. And the most stress-free money you’ve ever enjoyed. Where you can potentially collect an easy 400%-plus return. I hope you’re starting to get as excited as I am. Sometimes with lines full of frenzied customers trailing out the door. The company sports a healthy $1.4 billion in revenue. Businesses in 36 countries... China... France... Spain... the U.K... Japan. 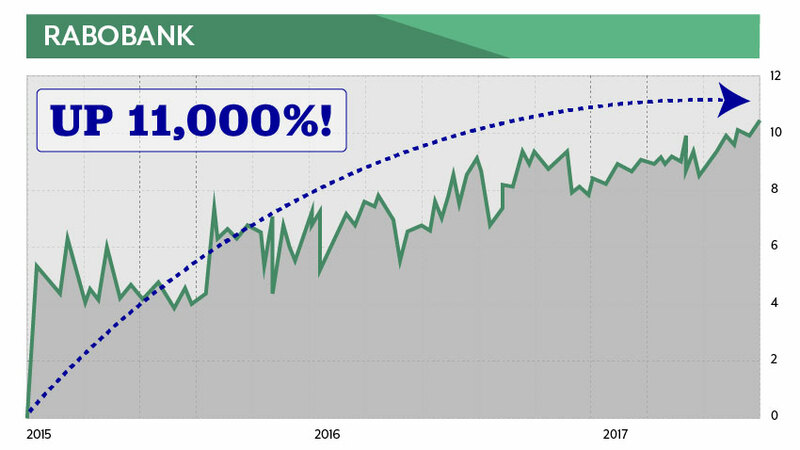 Thanks to everyone’s obsession with stocks, most people don’t have a clue about this super bond... It’s not a mainstream idea like buying stock in Tesla or Netflix. And that’s what we’re going to follow... to lock in a potential monster return on this company. Again, this investment return comes with a written legal contract backing whatever capital you choose to put into it. And you’ll know the exact day you’ll collect the winnings from this incredible investment opportunity. When the cash from your winnings will hit your account! And unlike with payouts from stocks, your payout can never be reduced by the company! But I’ve just discovered another super bond opportunity... And I’d like to give it to you as an added bonus today! This one comes from an incredible oil exploration and production company... it has a whopping $1.9 billion in assets. Stretching all the way from the Gulf of Mexico to the coast of Africa, this company has a massive war chest of oil and gas. And it just reached an agreement in July to expand one of its BIGGEST projects to date. I believe this company is about to see an influx of new cash and investors with this new announcement. And I’m expecting a 447% return if you get in today. So that’s TWO opportunities I’d like to give you the details on in my report. I fully intend to have this report in your inbox within the hour if you accept my offer. You’ll be off to the races after that. It’s so easy to set up. And you don’t need much to get started – it can be as little as $800. You’ll just need to follow some brief, easy instructions. It’s simple, even if you’ve never bought a bond. 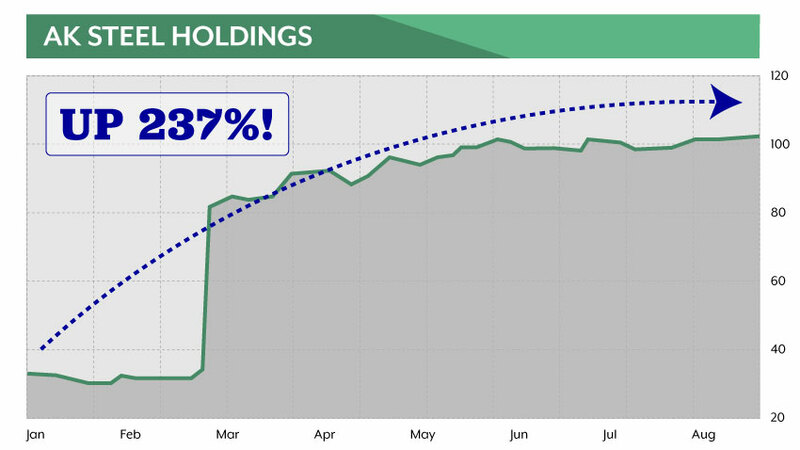 I’m telling you, you’re going to love seeing returns like these... with a written legal contract behind your capital! Would’ve turned your $5,000 investment into $24,150! Another $5,000 into this one... would’ve given you a nice $37,050. That’s more than 60 grand. From TWO bonds. So that all you have to do is follow my notes... decide to act... and start making money. A group that has decided we are DONE worrying... and prefer easy money! When he came to me, he’d never bought a bond in his life. Honestly, it’s me who’s thankful – thankful he had the smarts to get out of stocks at his age and get this easy income instead! Another gentleman, Bruce Stenhouse, is finally entering retirement. 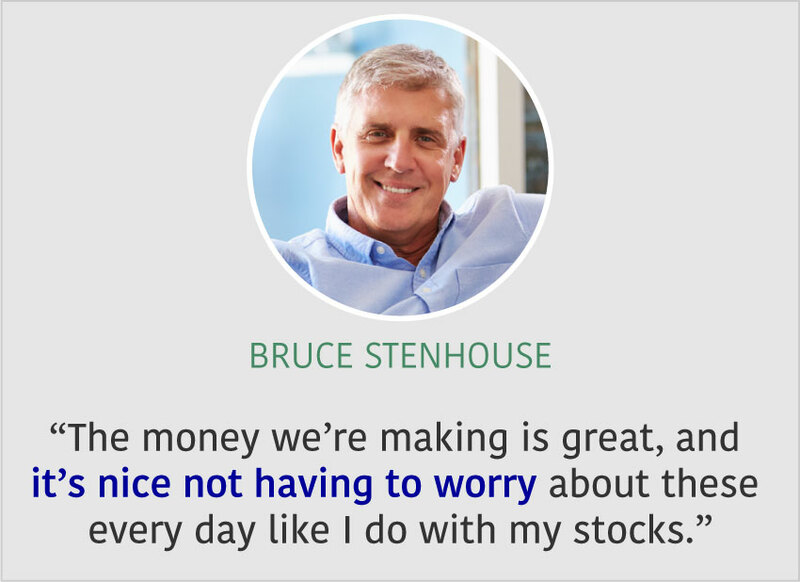 With this approach, you don’t have to worry the way most investors do. I’ve seen the look of dread on too many people’s faces when they lose it all because they ONLY had stocks in their portfolios. Instead, my group focuses solely on these special bonds where the money is owed to you BY LAW. 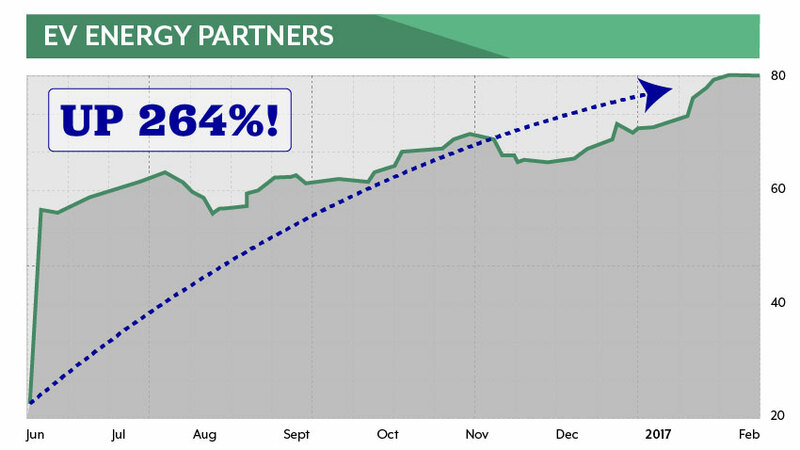 We allocate a special part of our overall model portfolio to this easy money. My philosophy is this... It’s better to be safe at home than swing for a home run every time. That’s why I have more than 150 recommendations with a 90% win rate. That’s virtually impossible to achieve with stocks. 9 out of 10 a winner every time? And the times we did lose, I wanted to close out the bond because I didn’t have a good feeling about the company. But our success is unmatched. 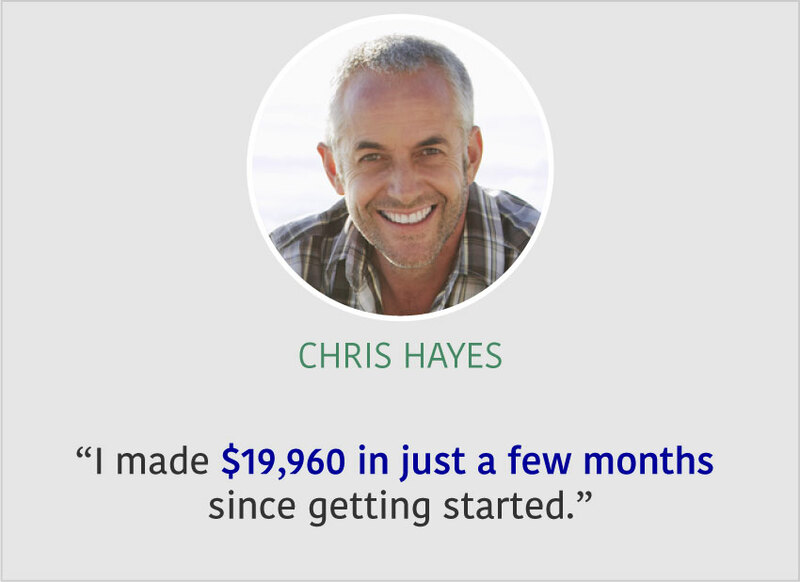 My readers have seen the chance to average a cash payout every four days! Ask yourself, have you ever in your life averaged a cash payout every four days with stocks? If you have, give us a call – we could probably hire you as an investment expert. But 99% of people will NEVER see that kind of success trading stocks. Not without giving themselves a heart attack! But in my service, Oxford Bond Advantage, that’s ordinary, run-of-the-mill stuff! And I’m going to bring them to you over and over again. When you get my email telling you it’s time to make some money, it will look like this. 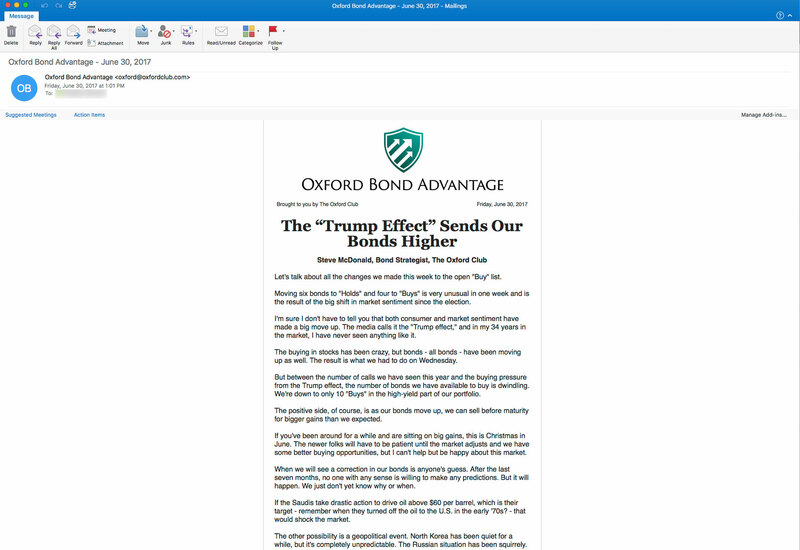 You’ll see Oxford Bond Advantage in your inbox... and my buy or sell recommendations immediately when you open my alert. 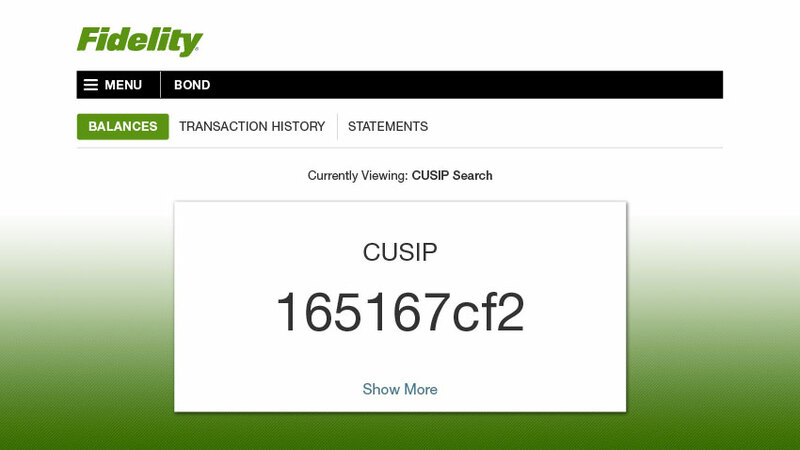 I’ll reveal the CUSIP for the bond. Think of this like a ticker symbol. I’ll show you the EXACT return you can expect before you invest, something you could never do with a stock. I’ll tell you EXACTLY how much cash the company is going to pay you. And I’ll break it down into simple math. But if you’ve ever bought a stock from your home office computer, I’m telling you, this is just as easy. Let’s start small, with a company I know you’re familiar with: Netflix. With $10,000, you could buy about 60 shares of Netflix stock. 60 measly shares for 10 grand of your hard-earned money. But instead of risking that money and praying the stock goes up (which there’s no guarantee)... let’s say you found Netflix had a bond that was even better. 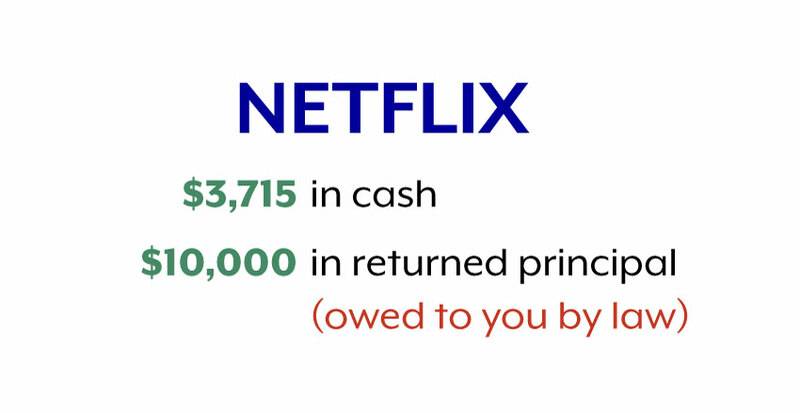 For that same $10,000 investment, Netflix was contractually required to pay you $3,715. Never forget this: Every penny of that principal was owed to you by law. No matter if the stock went up or down. As Money magazine writers confirmed, “you never lose your principal” with this type of investing. Now, once you’d bought the bond, $3,715 in cash from Netflix was legally yours. That’s the money Netflix gave you for temporarily lending it $10,000. Again, your principal is protected by law and guaranteed by written legal contract – as is that $3,715 return. I know I keep stressing that – but that’s just because it’s such a MASSIVE advantage for investors. The majority of our model portfolio is made up of safe companies like these. Now, what about the super bonds? But with greater risk comes the chance for walk-off home runs. Let’s say you found a really great bond from Chesapeake Energy, just as we’ve done before. And make an absolute FORTUNE. In one instance, for a $10,000 investment, Chesapeake was obligated to pay you $19,900. Just as before, your $10,000 capital was owed to you. That principal was coming back to you. And that $19,900 was owed to you and backed by written legal contract. You would’ve nearly tripled your money. WITHOUT the uncertainty of stocks. And without lying awake at night. Best of all, this works no matter what happens to the economy in the days ahead. Unlike Stockholders, We Don’t Have to Worry About the Fed! For starters, I don’t care if the market goes up another 1,000 points or comes crashing down. 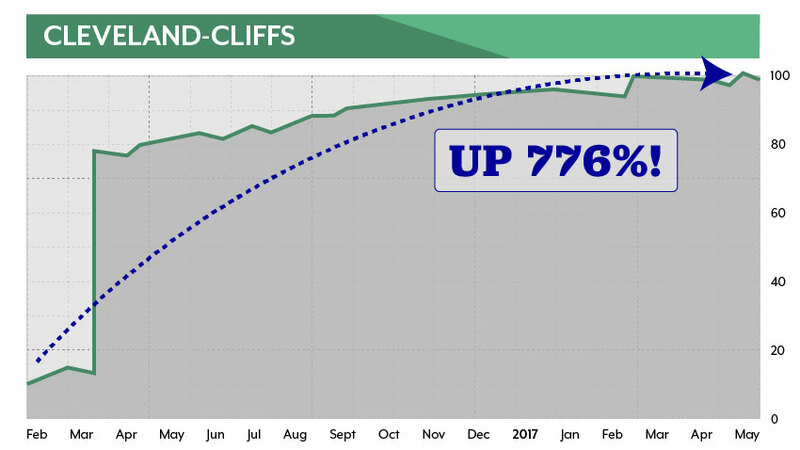 I’ve already shown you how you can make money even if stocks fall off the face of a cliff. Bring up the Fed to an investor... and they start getting nervous. 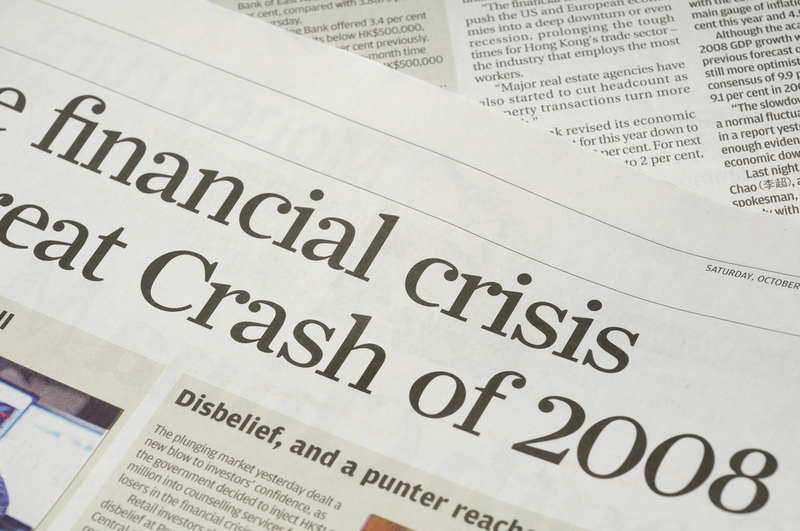 Will the market crash if it raises rates? It’s a total guessing game. The market gets held hostage by every Fed statement and meeting. And a lot of people WRONGFULLY assume that bonds are going to get killed with interest rate increases. Sure, maybe if you buy the regular low-yielding, long-maturity government bonds. That’s foolish. We NEVER touch those. And if you buy into long-term junk bonds or a bond fund run by some guy investing heavily in long-term maturities, yeah, you’re going to get ground into dust. As I’ve told you time and time again, I only recommend special types of bonds. You get paid more. You get paid quicker. And you collect bigger capital gains. You can bring home consistent money... every four days on average. And when I find a super bond worth speculating on, I bring it to your attention immediately. And no, interest rates do NOT affect us. I can tell you that higher rates will actually spell BETTER paydays. In fact, I have a special play I’ll tell you more about in a moment that can hand you ENORMOUS gains if the Fed hikes rates. 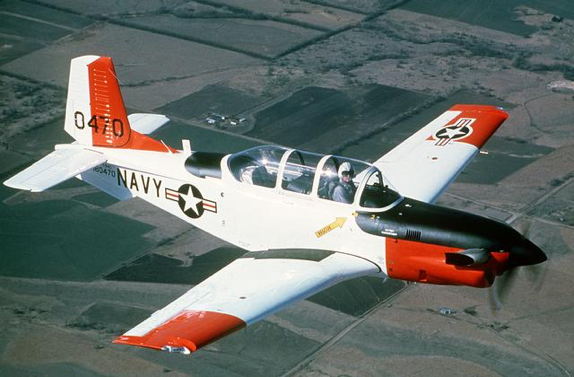 Because I’m a Navy man and a pilot, I plan for everything. That’s the advantage of Oxford Bond Advantage. We survive and thrive in any economy. You can get paid even as stocks go down, as you saw. The risk of the company going bankrupt. That’s the ONLY way you wouldn’t get paid. It is the one risk that comes with investing in bonds. But guess what? If you owned the stock of a company that went bankrupt, you wouldn’t get paid either. And in fact, bondholders still have an advantage over stockholders if something does go south. In the highly unlikely event a company goes bankrupt, bondholders have priority over shareholders in terms of getting paid. I just want you to be aware that bonds do have some risk... but it’s a tiny fraction of the risk that stocks carry. Even preferred stocks don’t have the protection these do. And I do everything in my power to ensure that out of the hundreds of bonds I recommend, NONE of them ever go bust. We heavily research our recommendations to ensure that does NOT happen. 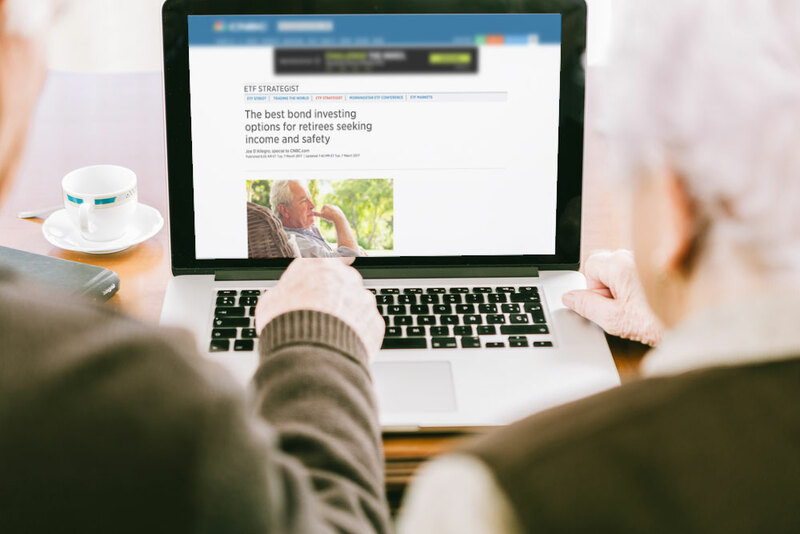 Oxford Bond Advantage recommendations really are the best of both worlds. You get money if the economy goes up. You get money if it goes down. You’re owed this money BY LAW. You get safety nets no stockholder in the world can brag about. And believe me, you’ll be bragging to your friends when you make this money. One of my favorite success stories comes from a gentleman named Travis Allman. He’s been with Oxford Bond Advantage for a while. And he’s always writing in to tell me about all the money he’s making. 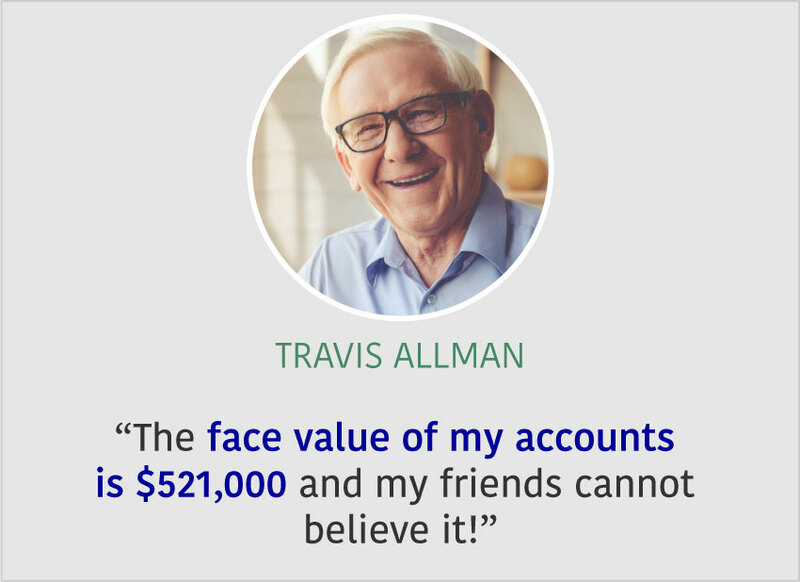 That’s nearly 10 times what the average person has in their savings account at Travis’ age. He is so far ahead of the game, it’s incredible! One of my readers, Luke Davis, actually sent me screenshots of his account when he got the cash! That’s money sitting in his account right now. And he KNEW what he was owed before he ever put down a cent. If she’s taking payments from 13 companies like that, I estimate she’s clearing about $71,000 in income... each year. I know for a fact these people are making money because they reach out to me all the time. Because I care about each and every subscriber of Oxford Bond Advantage. Even if You’ve Never Bought a Bond in Your Life, You Can Do This! You see, I make a commitment to my subscribers to be there every step of the way. Truly helping someone is being there when they need you. From beginning to end, I’ve got you covered. My tutorial videos will make those of you who are new to this feel like pros. With four videos and a few minutes of your time, you’ll feel like you know more than 99% of people out there. In fact, I guarantee you will. And believe me, you will be able to make money this way. 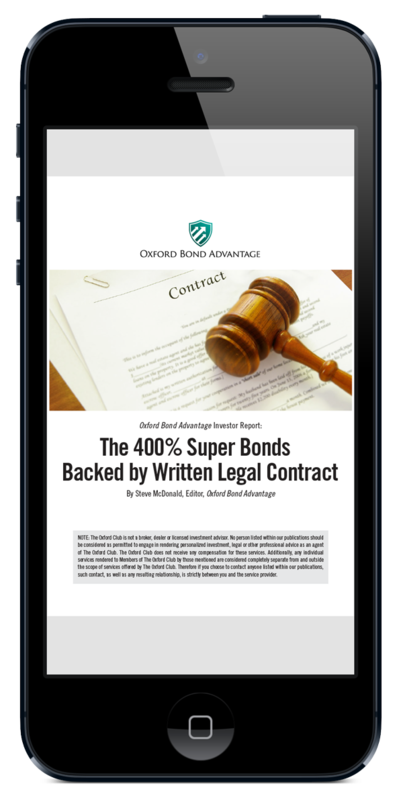 With my report, “The 400% Super Bonds Backed by Written Legal Contract,” you’ll be in the best starting position. But I’m going to make joining Oxford Bond Advantage even easier so that you can get started today! 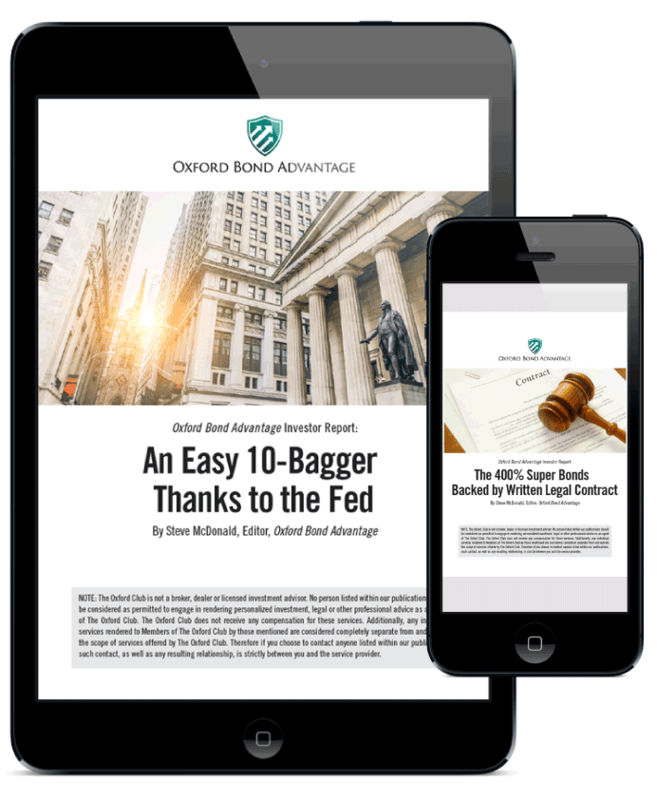 Usually we allow access to Oxford Bond Advantage on a yearly basis. The price is $4,000 per year. Chris Hayes could pay that nearly five times over with the 19 grand he’s made since getting started. Travis Allman made so much money with my help, he could pay that cost 100 times over. Again, I know you can make that back with a SINGLE bond. I believe will prove to you that I’m worth it. The burden should fall on my shoulders, not yours. There’s only one catch... we’re not offering any refunds. Too many tire kickers have spoiled it in the past. But I assure you, when you see the money you could be making, the LAST thing you’re going to want is to quit and cancel your subscription. And then call up the very next day for a full refund. When you join us, I’ll do you one even better. I’ll give you opportunities to pay for the entire service during your first six months! I’ll Even Help You Find Ways You Can Pay for It! My bond recommendations have averaged a payout every four days. That makes for a lot of potential paydays during a six-month period. 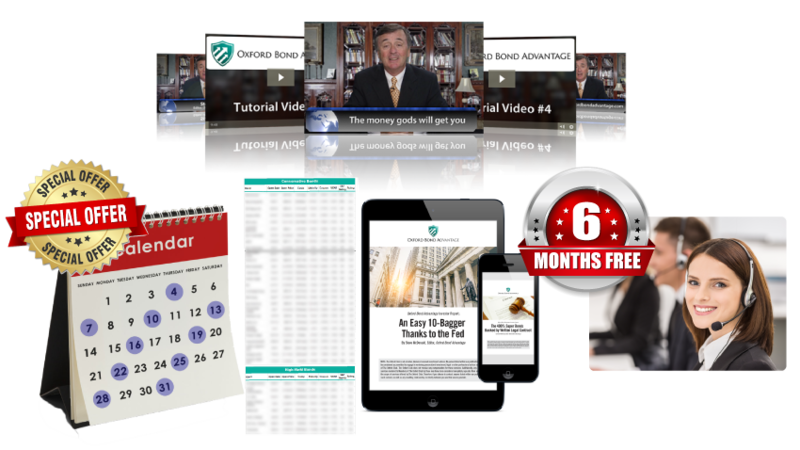 I promise to show you how you can make enough money to pay your subscription to Oxford Bond Advantage five times over. LIFETIME OFFER and STANDARD SUBSCRIPTION: My promise to you is simple. If you do not see the chance to make back the sign-up costs today – five times over – simply call our VIP Trading Services Team and explain your situation. We’ll give you our standard refund, and you can keep everything we’ve given you over the last six months. My promise to you is simple. We’ll go ahead and transfer you to any one of our other trading services. This is a bold promise... I’m taking the risk here to PROVE to you I’m worth it. And this example I showed you exploded 25 times in value! I feel extremely confident in my ability to help you over the next six months. And you could not have picked a better time – I expect we’re about to enter an era of even BIGGER profits for super bonds. I have an extra incentive for joining me today... a second bonus report featuring something you won’t find anywhere else in the world. 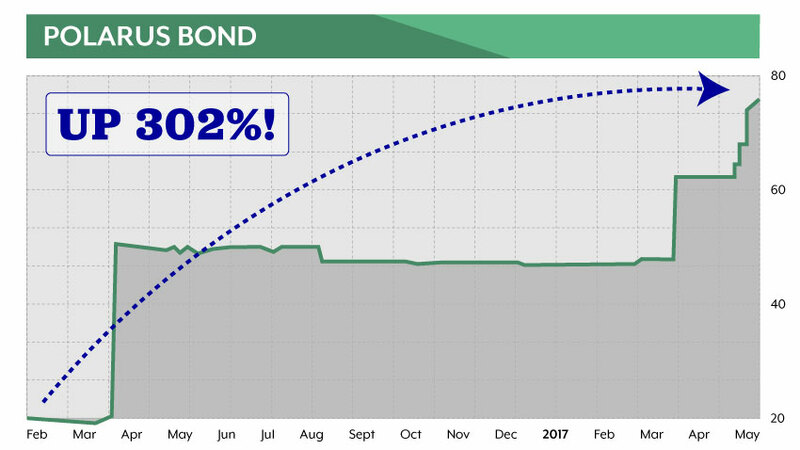 Your BONUS Report: Another Way to Make Up to 1,000% Returns on Bonds! There’s a massive elephant in the room when it comes to the stock market..
Rates have been so low for so long, many people think that when the Fed raises rates, it will crush the market. People, think about this: We’re at 1% interest rates. And nothing will be safe. They might be right... but I don’t think so. But I’ve discovered a unique way we can play this situation to our advantage. 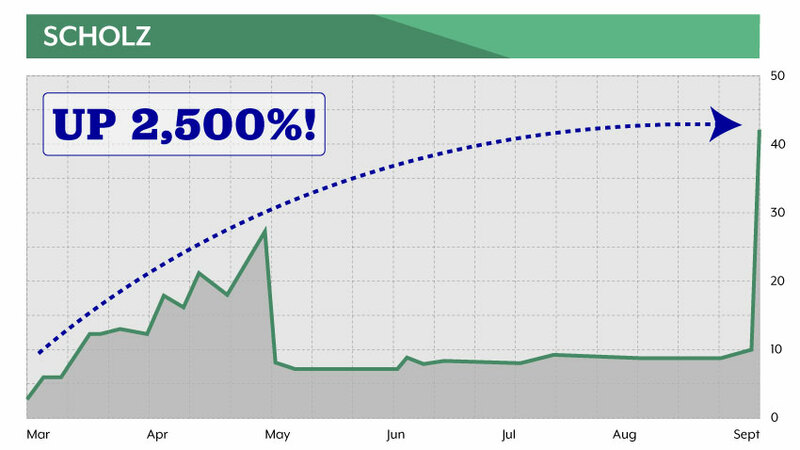 A $5,000 investment – boom, into 10 grand. This is a no-brainer, folks – interest rates can’t remain low forever! To, say, 3%... again, a totally reasonable rate. This is what they were in 2009, in the midst of the financial recovery. We’re looking at a QUADRUPLE. $5,000 growing into 20 grand... 10 grand growing into $40. You’re looking at potentially 10 TIMES your money. Gains of 1,000% or more. Now, this is slightly more speculative. Do you REALLY think rates can stay this low forever? That’s why I believe this is such a no-brainer investment. I want to give you my research on this and yet again prove that I care more about your success than anything else! This report reveals everything about this obscure and unknown investment opportunity. Are You Ready to Stop Losing Money and Start Being Owed Money BY LAW? So... there’s only one thing you need to ask yourself. 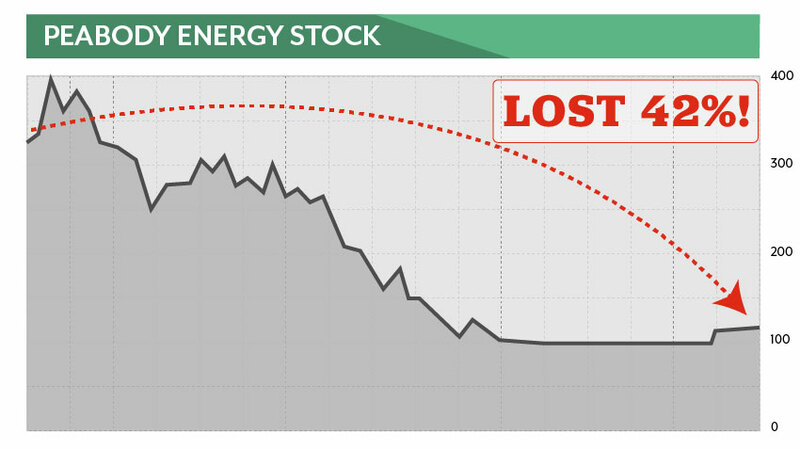 Do you really want to keep losing money in stocks? Or do you want to make money that’s owed to you BY LAW? Knowing I’ll make money before I put down even one cent... is the ultimate advantage over stocks. Oxford Bond Advantage makes it an exact science. You have every advantage by starting today. And the chance to make back your sign-up costs five times over. But this is a limited-time offer. I want you to be able to get the legal contracts in your hands as soon as possible. I urge you: Do NOT risk losing money on stocks. There’s no doubt in my mind this market will sell off... and people will lose money. Don’t risk it on stocks when you can do this and have a legal contract proving you’re OWED money! I look forward to helping you make a lot more in the days ahead. Simply fill out the secure order form. You’ll receive all my recommendations, and I’ll walk you through the rest. Again, you can get started with as little as $800. And you can start collecting super bond returns immediately!